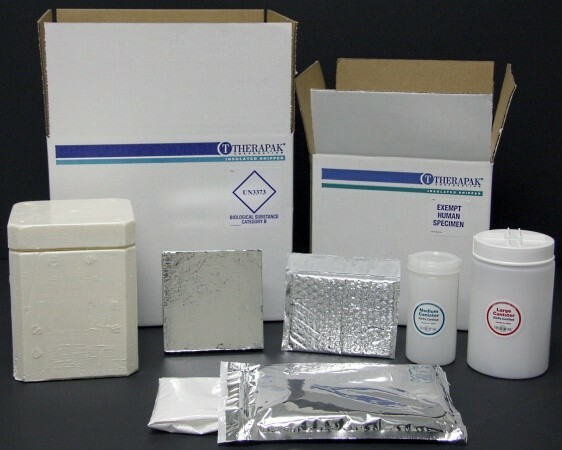 Therapak produces a complete range of stock specimen shipping systems designed to accommodate various load capacity and temperature requirements. Available in ambient, refrigerated, frozen and combination configurations, please select from the specimen category that suits your requirements. Each link will guide you to multiple specimen shipping system choices based on the load and temperature criteria. (Note: IATA certified systems are found under Category A & B in the links below). Please contact us at info@therapak.com if you have customized configuration requirements. Therapak’s Sales and Product Development team can assist you with custom printing, ancillary component inclusion and pricing.